It can be difficult to figure out the projection if you don’t know it. I’m sure several people here would be willing to help. Often receiving files from outside sources can drop the projection information for shape files. However it is easy to re-associate projection information once you know what to do. So ask away. We will try to help out. By the way, Brad is absolutely correct: you really should have your spatial reference defined for all of your layers. The solution I mention below is only good for the map document in which you are working at that moment. If you continue to use the same layers in other map documents, this problem will arise again and again. 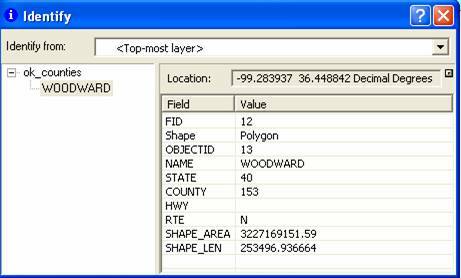 And that’s only one of many reasons to define your layers’ spatial reference. This is likely a result of your map document not having a coordinate system defined. From the View dropdown menu, select Data Frame Properties. 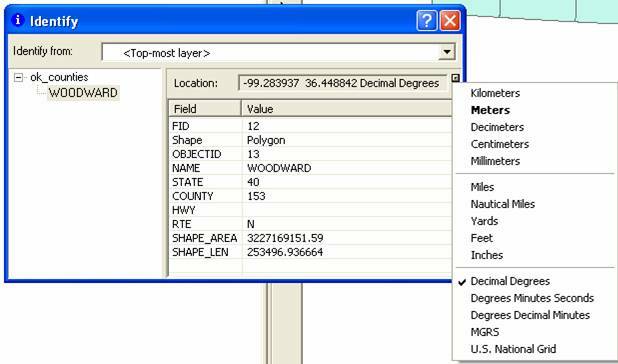 Click the Coordinate System tab, then select the correct coordinate system in the Select a coordinate system pane. Mine shows unknown units. How do I change to decimal degrees? "Information only becomes knowledge when it is shared"
"The Voice of Public Safety"
The standard Identify button returns the coordinates of any point on which you click. If you are running 9.3, you can specify which coordinates you want returned. I used to have a button tool on my ArcEditor, where i could click on a location with the Select Elements Tool (black arrow) and the lat/long would pop up in a window. The file extension for the tool is .dll. However, I got a new computer and cannot install this tool. i go to Tools/Customize/Add from file, find the tool and click open, but then i get the message "No new objects added". so does anyone know how to get this tool to work, or another way to get the lat/long of a location? I have the Go To XY tool, but that does the opposite of what i want for this task.